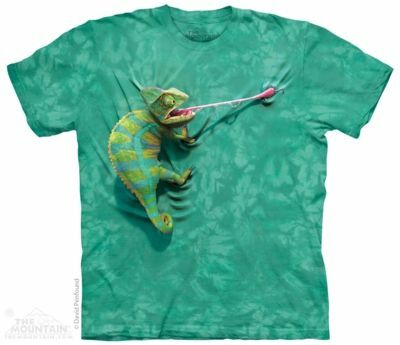 The Mountain® have brought the artwork of UK artist David Penfound to life on this children's reptile t-shirt. 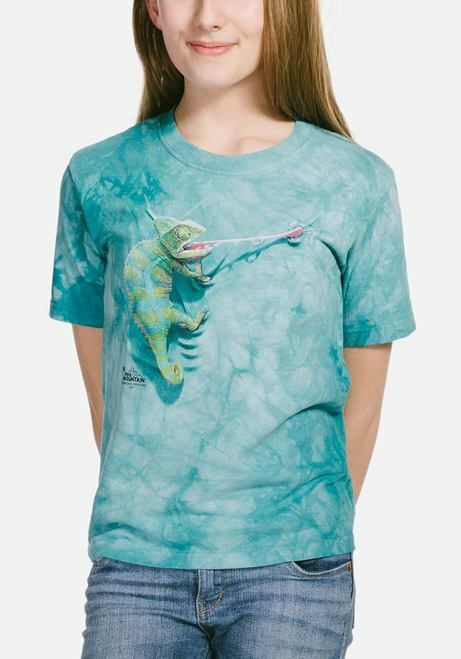 The realistic image features a chameleon climbing the shirt and has almost a 3D effect. 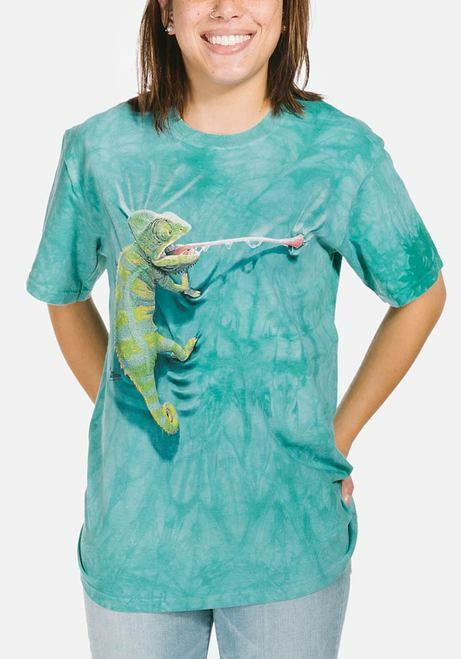 Chameleons are considered old world lizards.